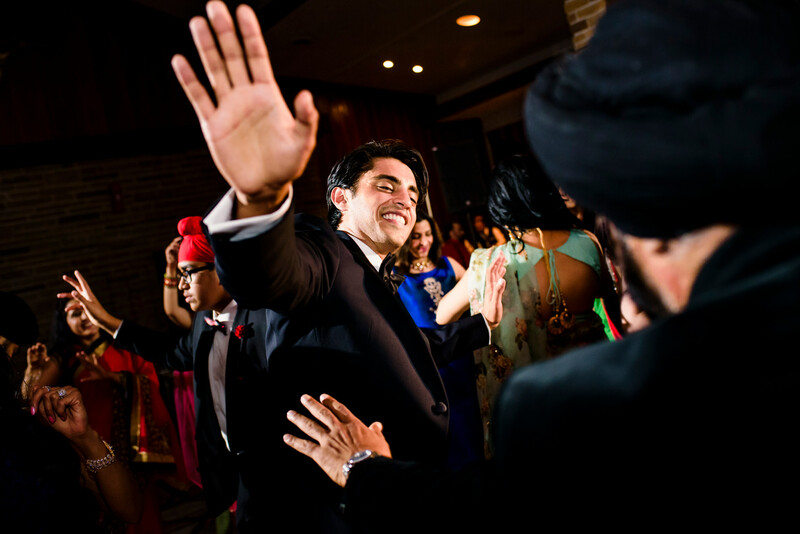 Jyoti and Kiran's wedding week in Edmonton and Jasper, Canada. 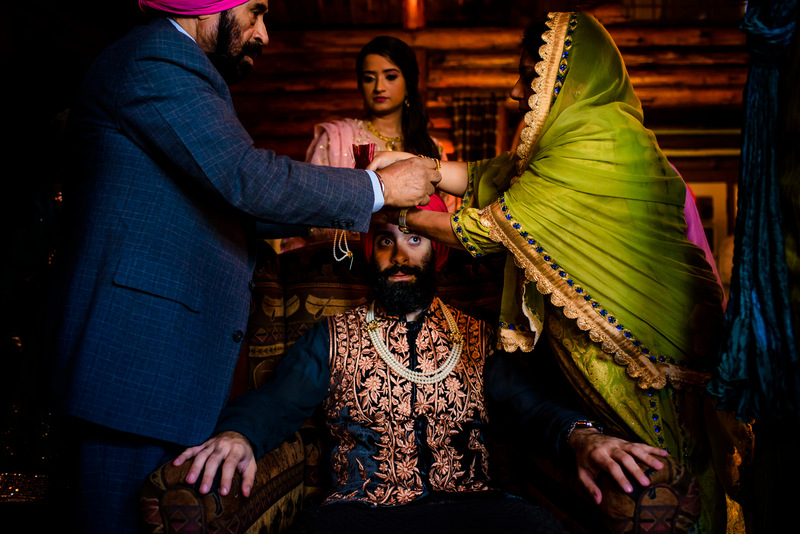 So how do a guy in San Francisco and a girl in Edmonton, Alberta, Canada, who have a terrible first date, end up together in the end? 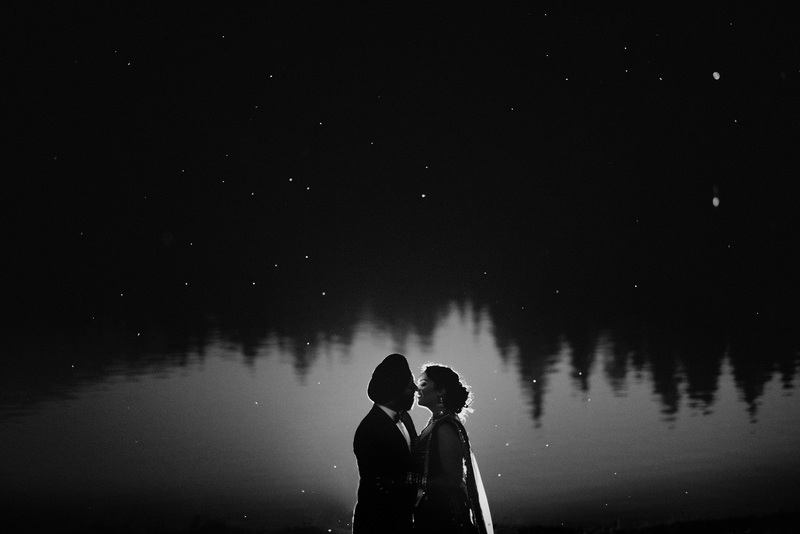 Well, they try again. 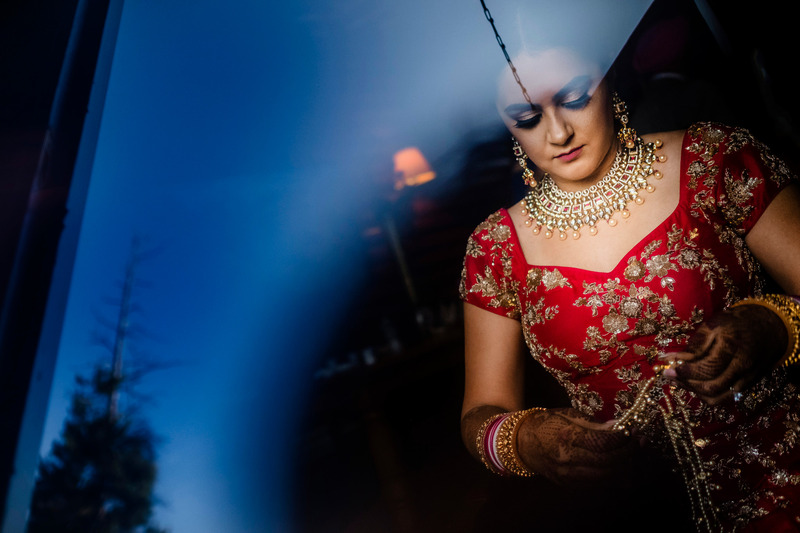 After that first date, Jyoti thought there was no way this could work out. 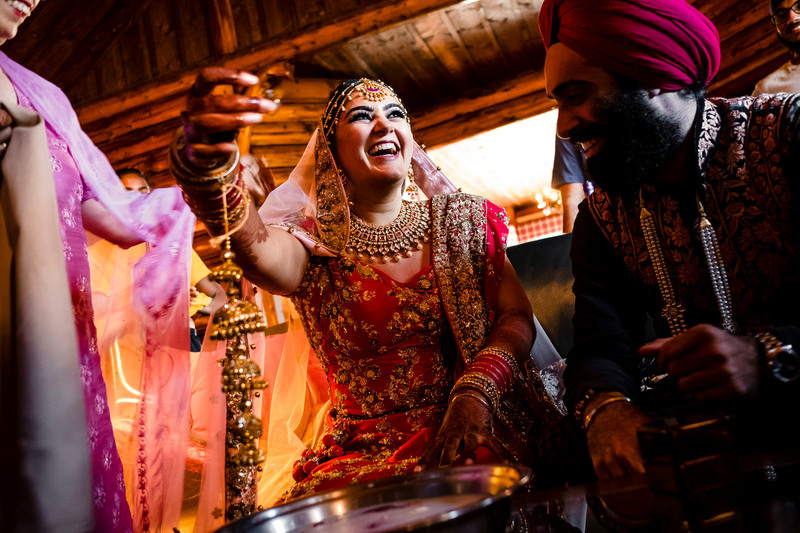 But she kept remembering how great their phone conversations had been (they talked for three or four months before they actually met in person), and she felt the pull to explore the possibility a little further. 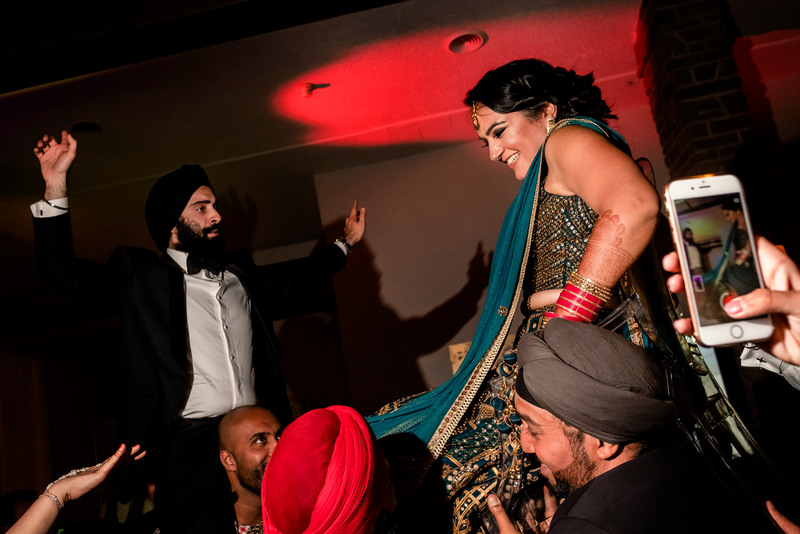 A month later, they met up in Seattle, and unexpectedly found themselves in a whirlwind romance there was clearly no turning back from. 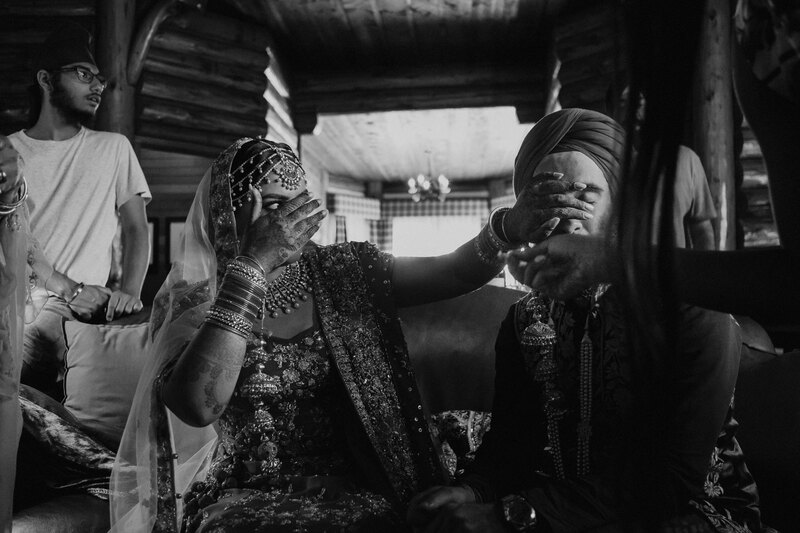 Somehow, everything clicked that time, and they knew this was it. 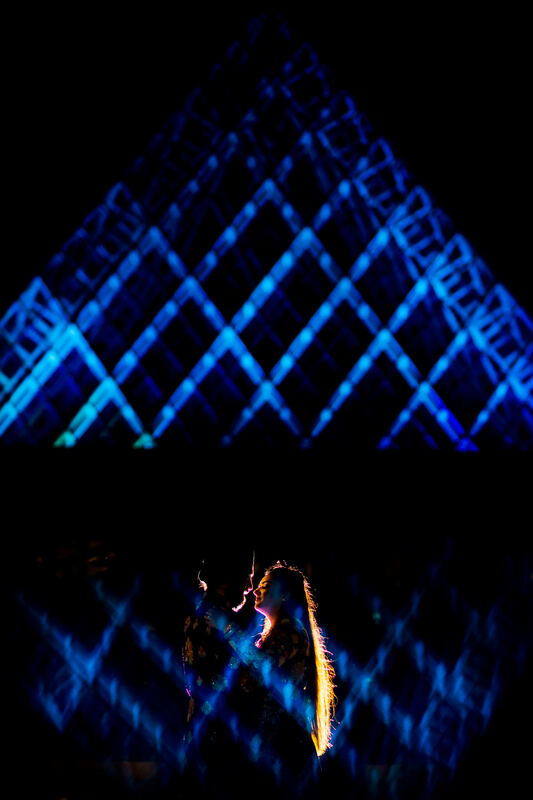 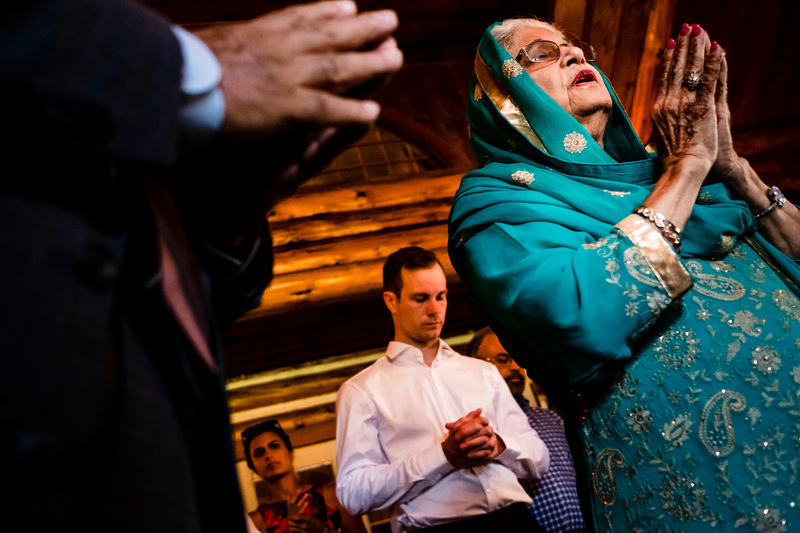 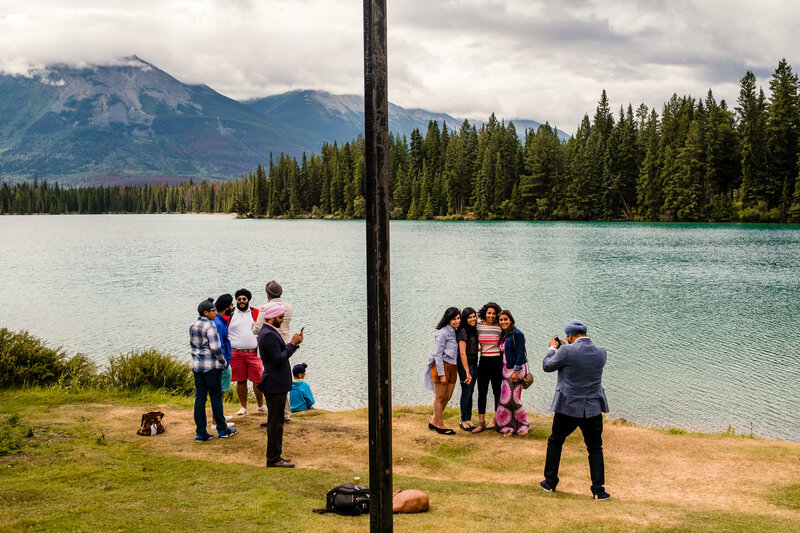 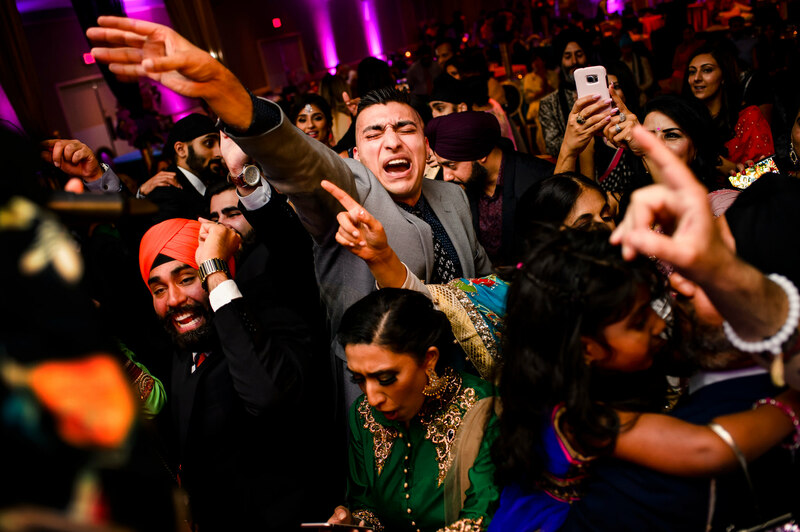 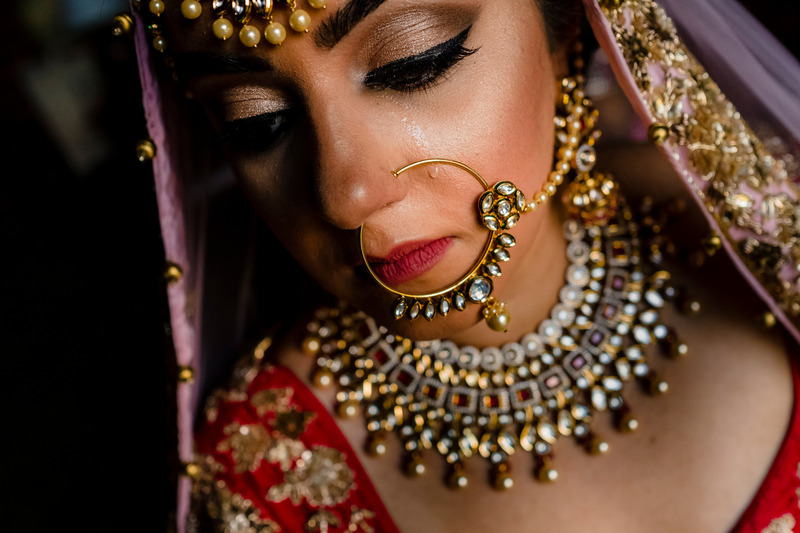 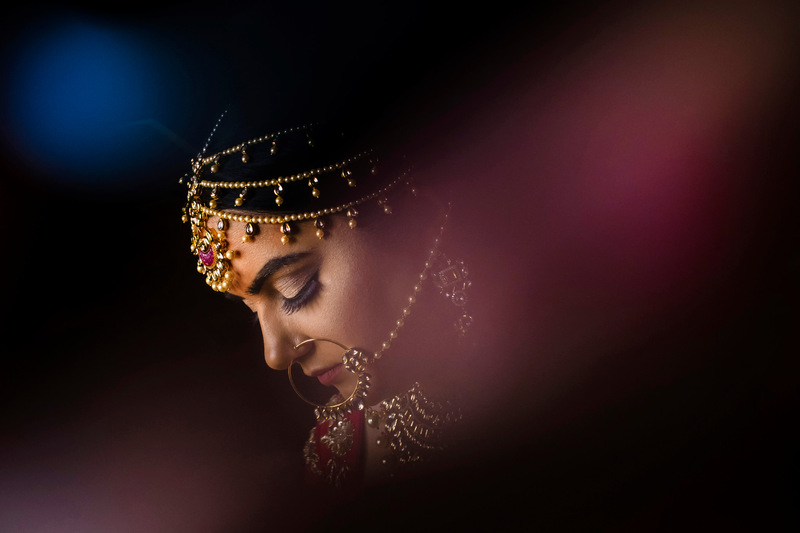 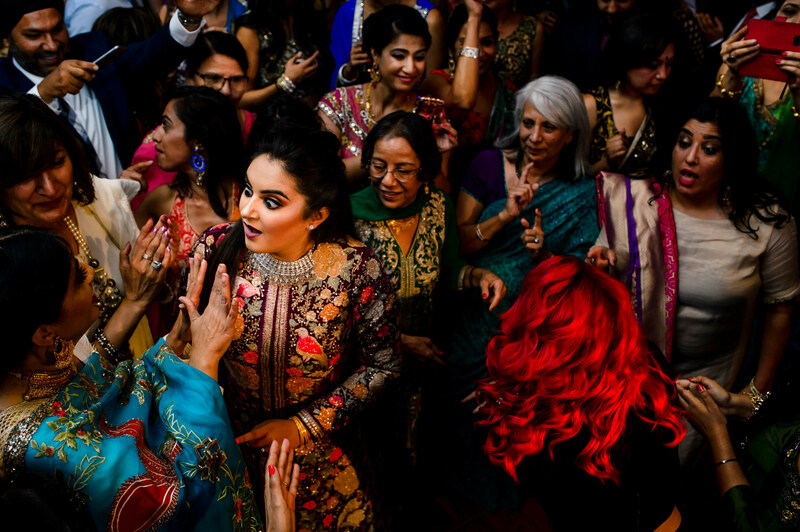 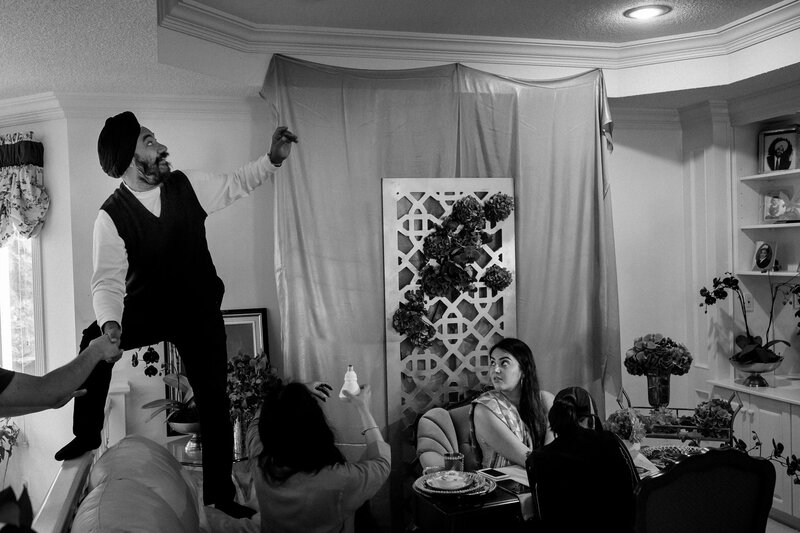 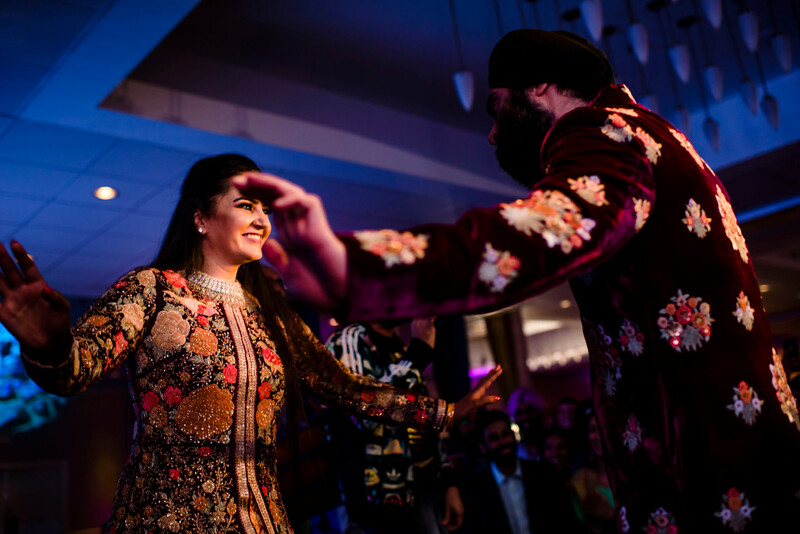 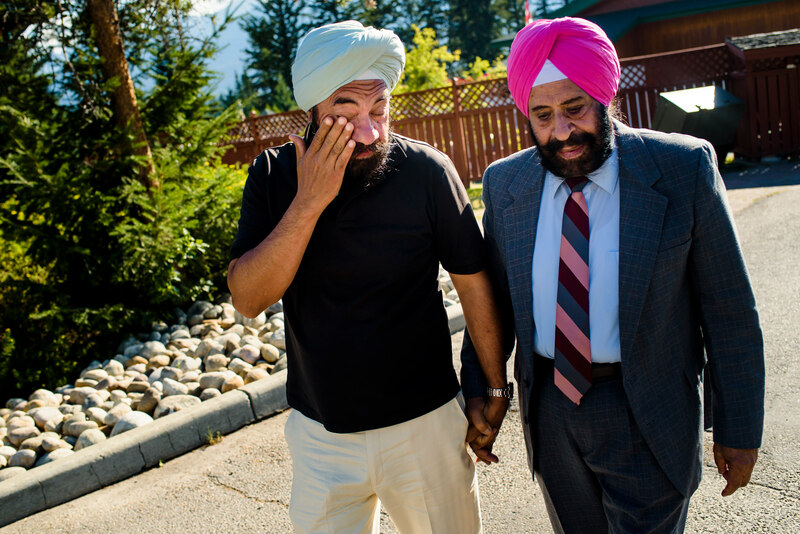 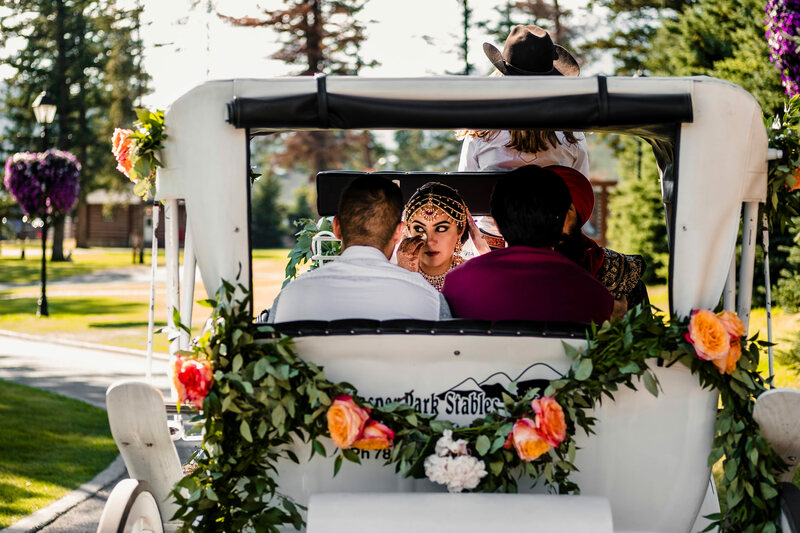 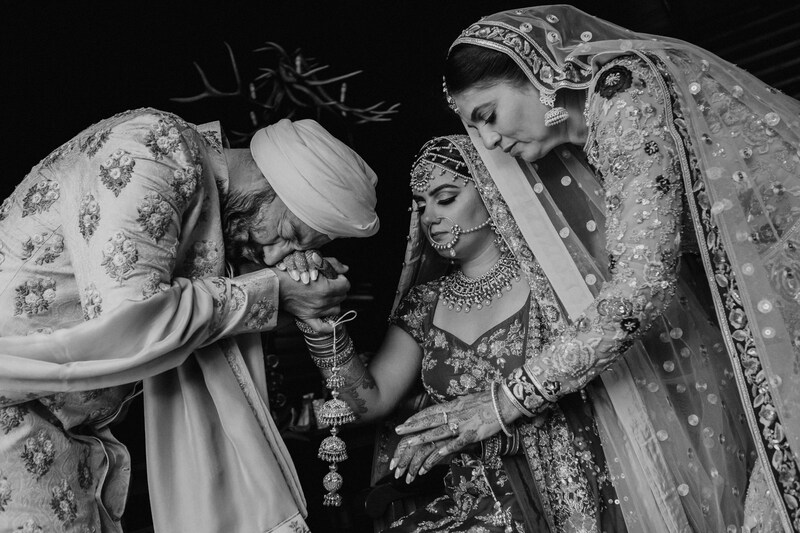 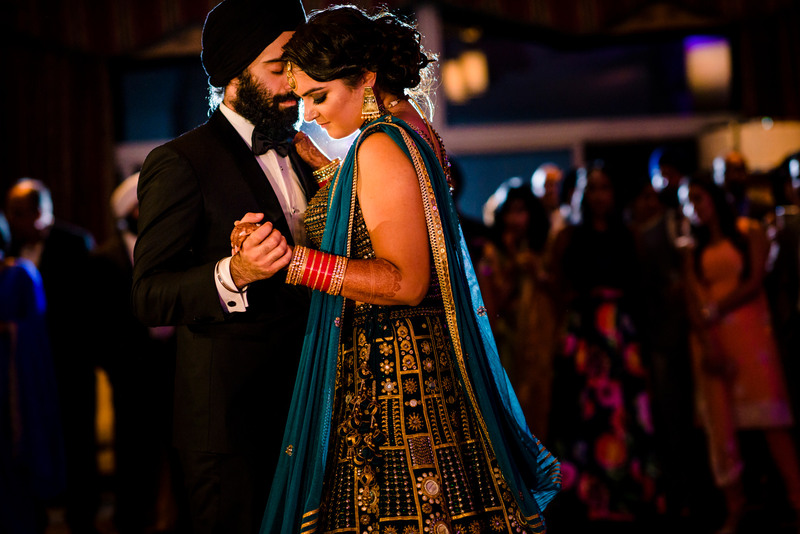 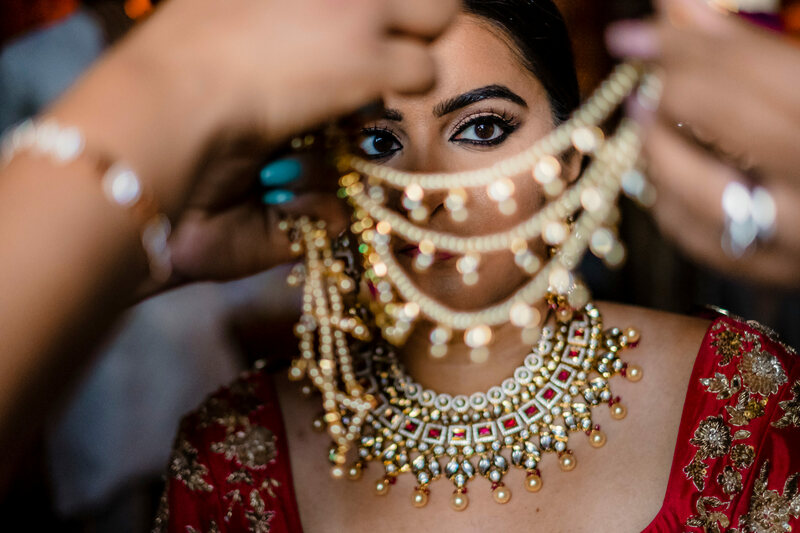 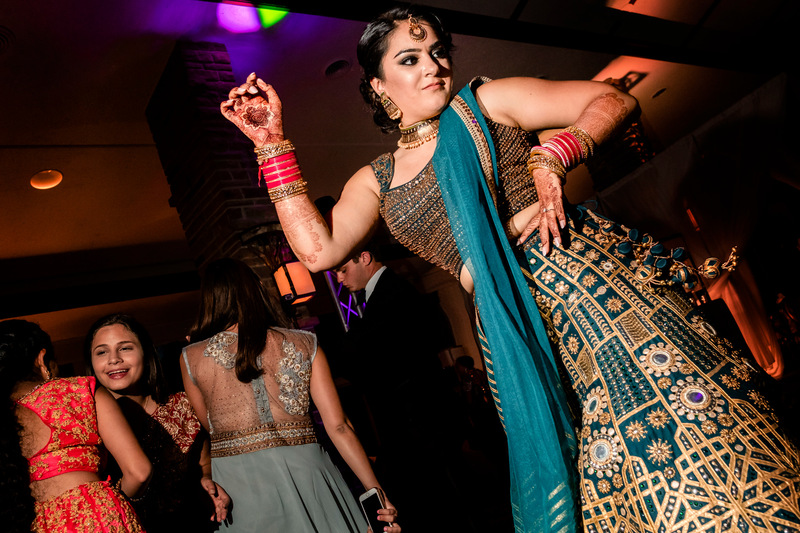 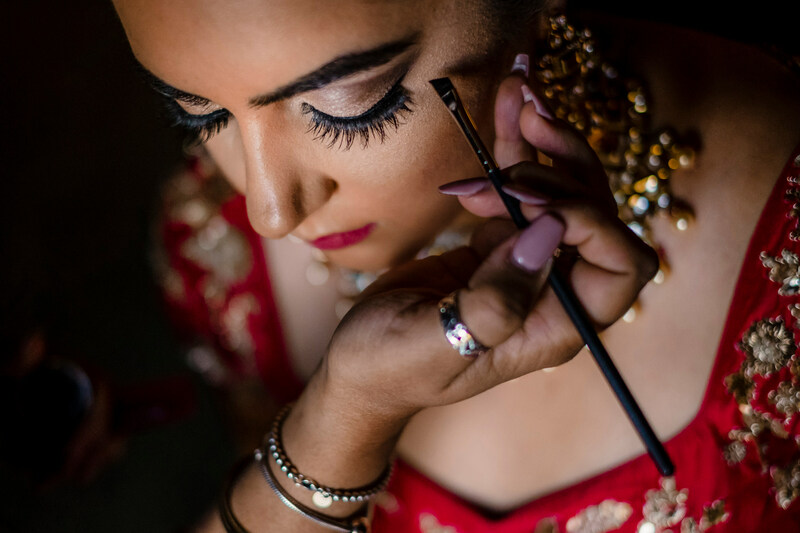 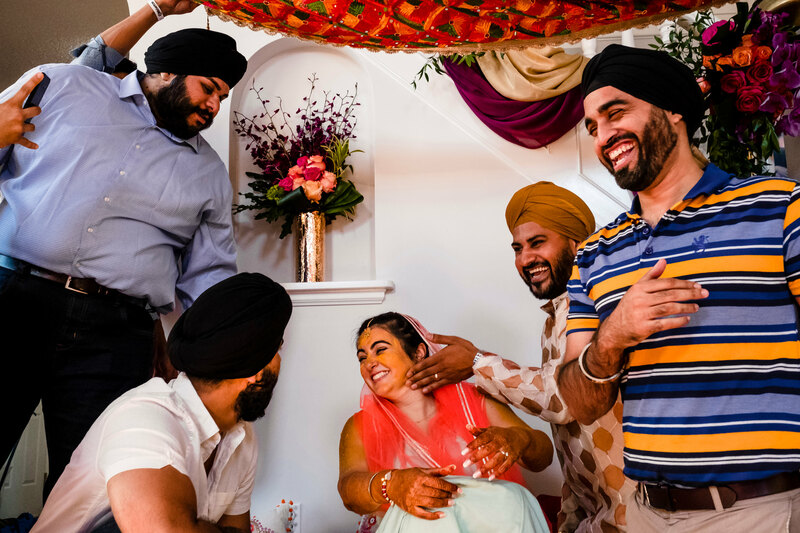 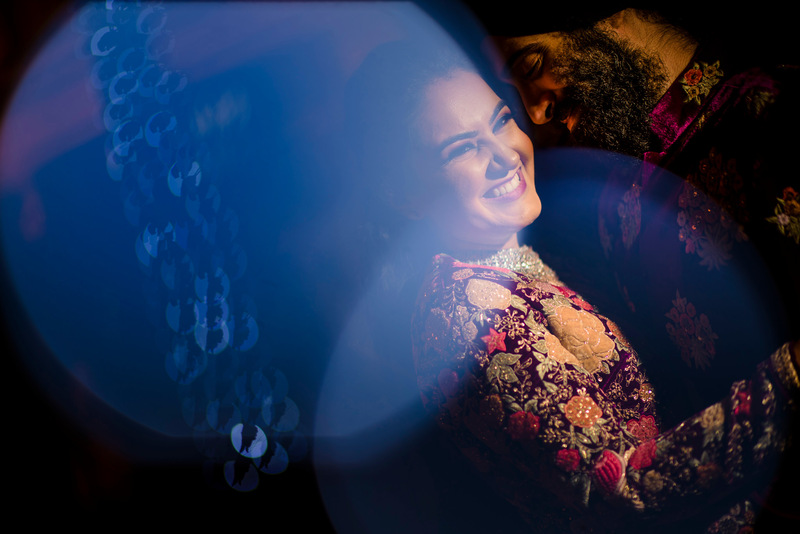 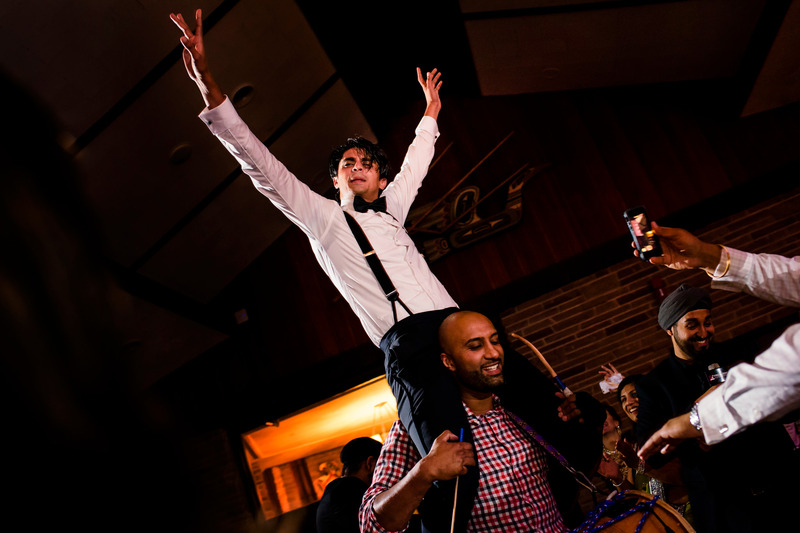 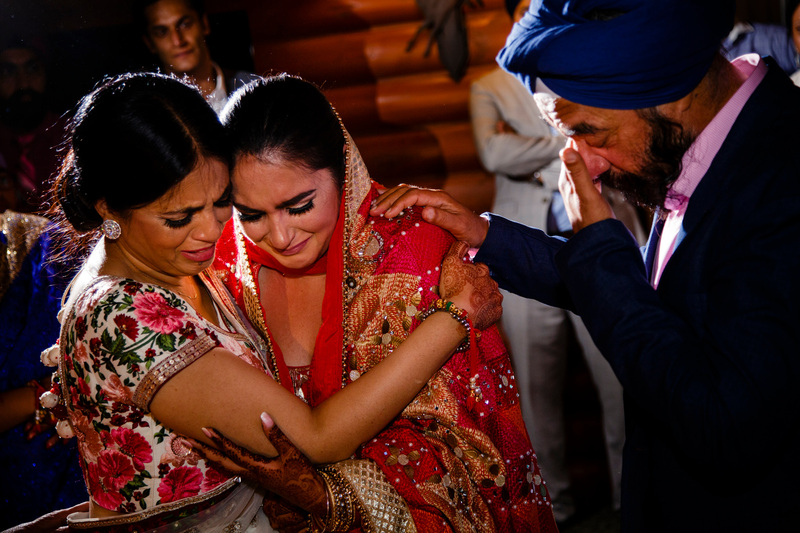 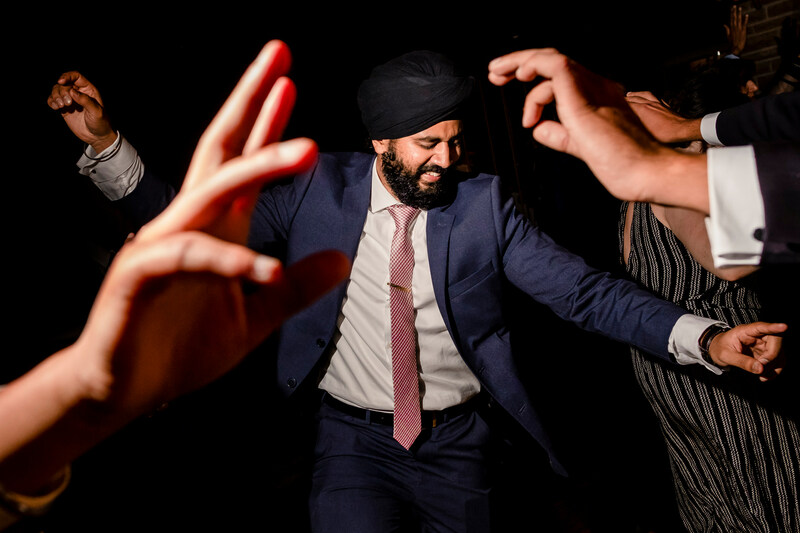 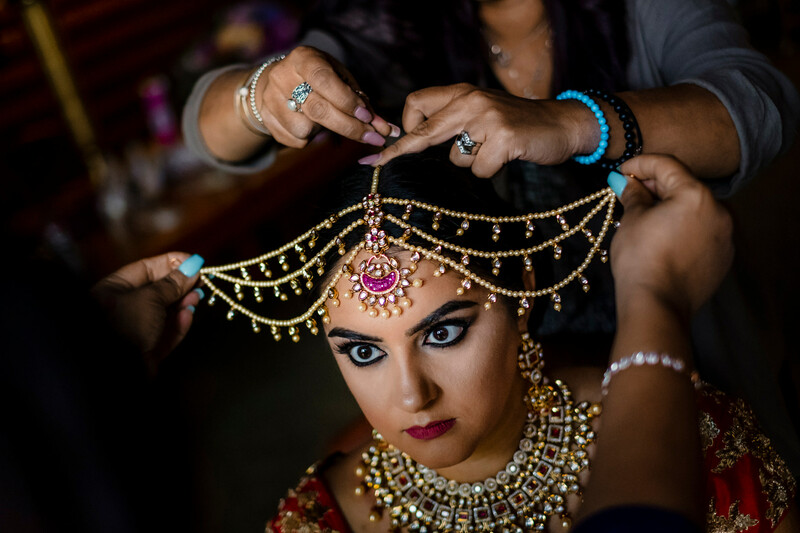 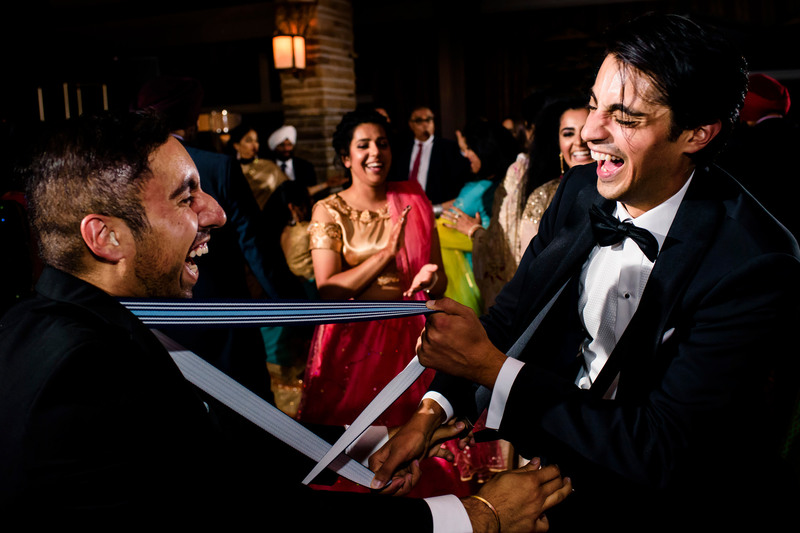 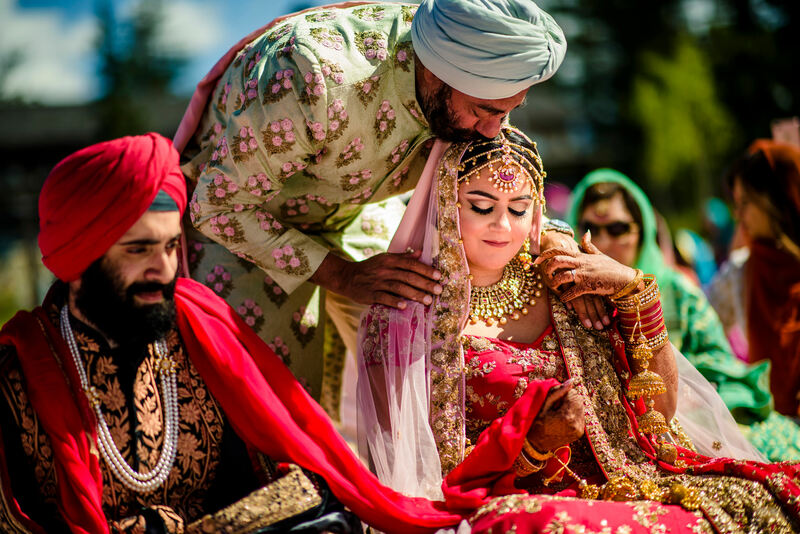 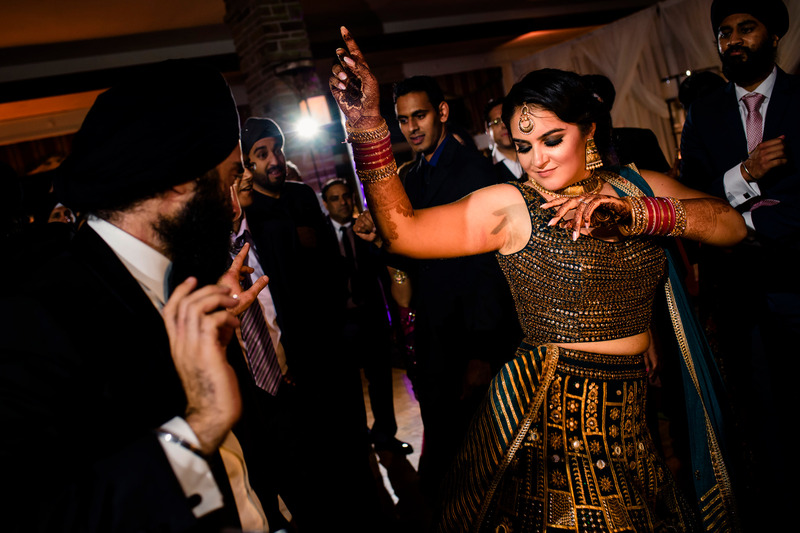 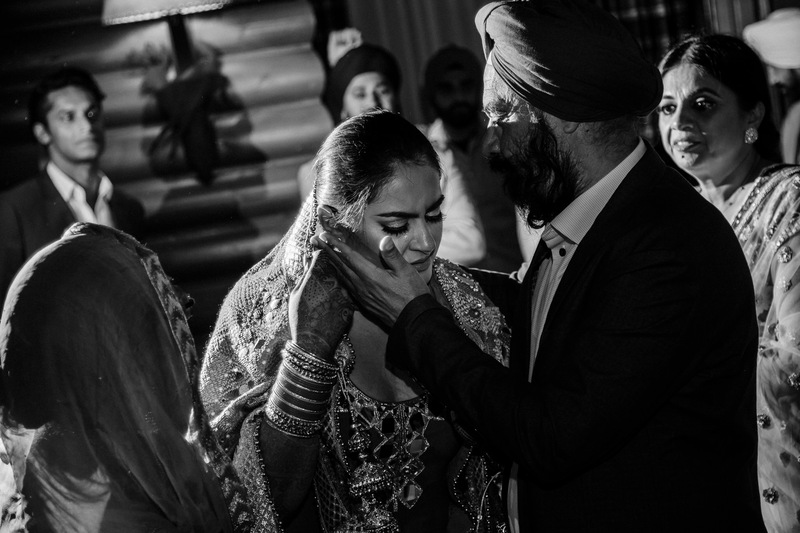 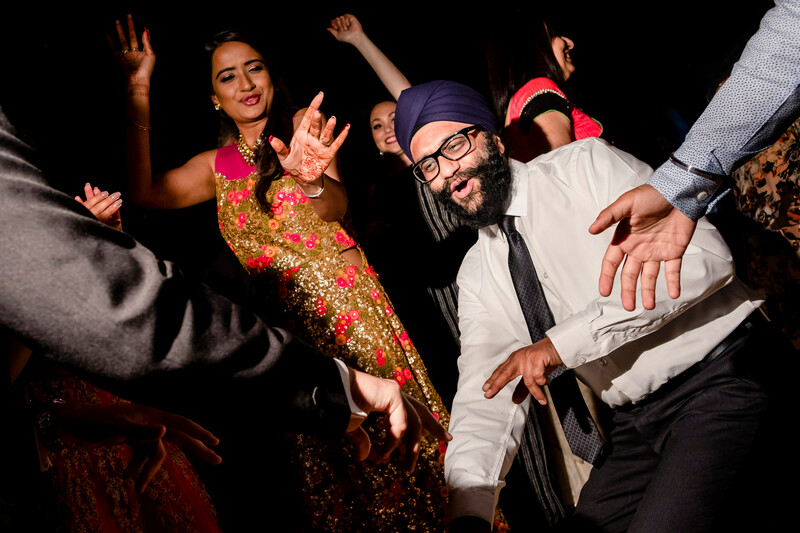 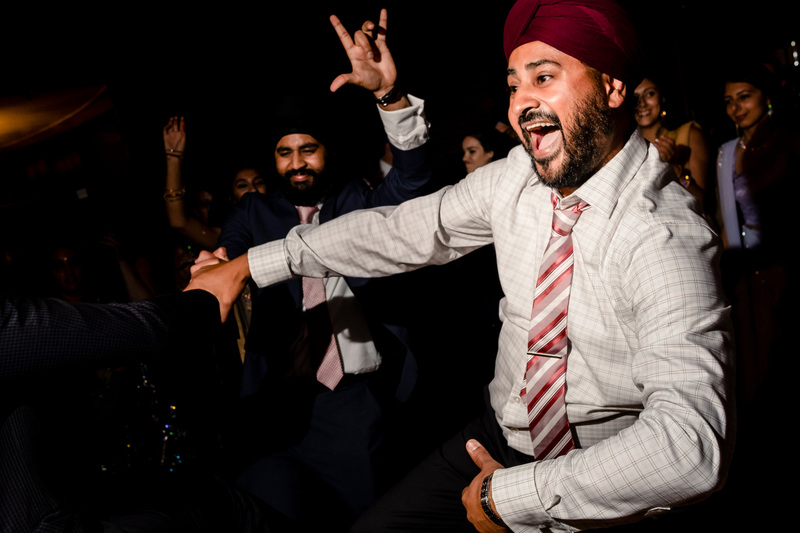 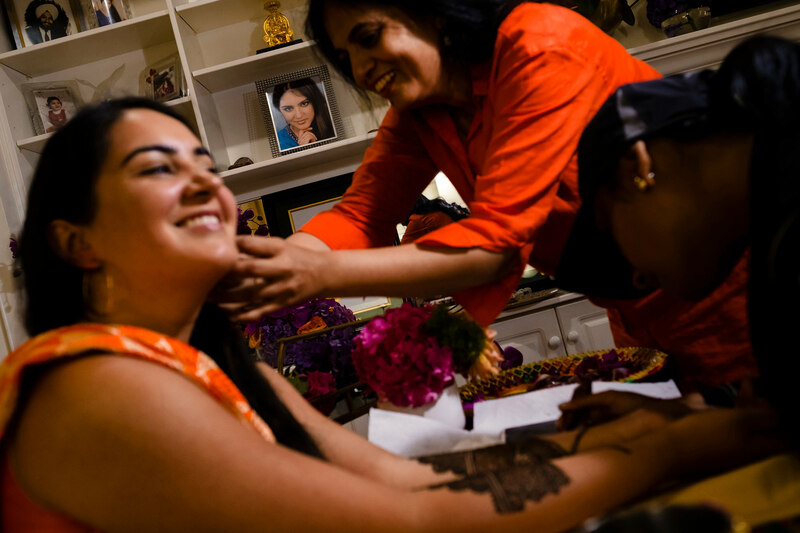 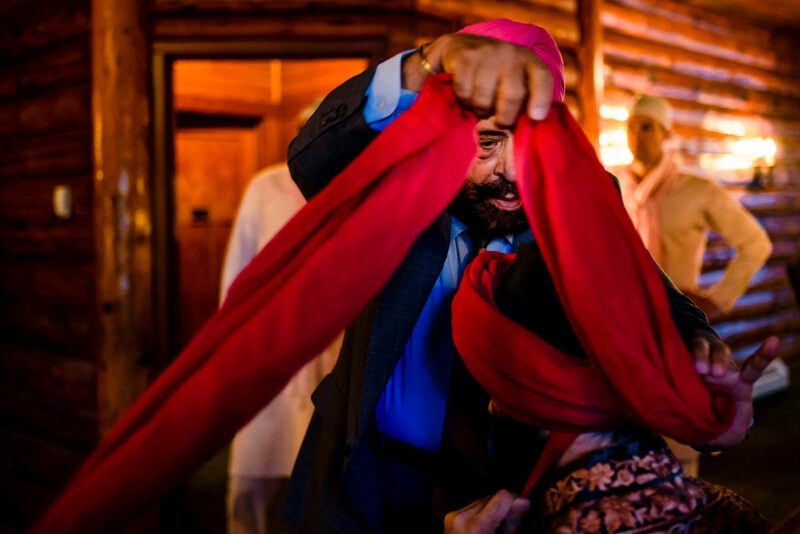 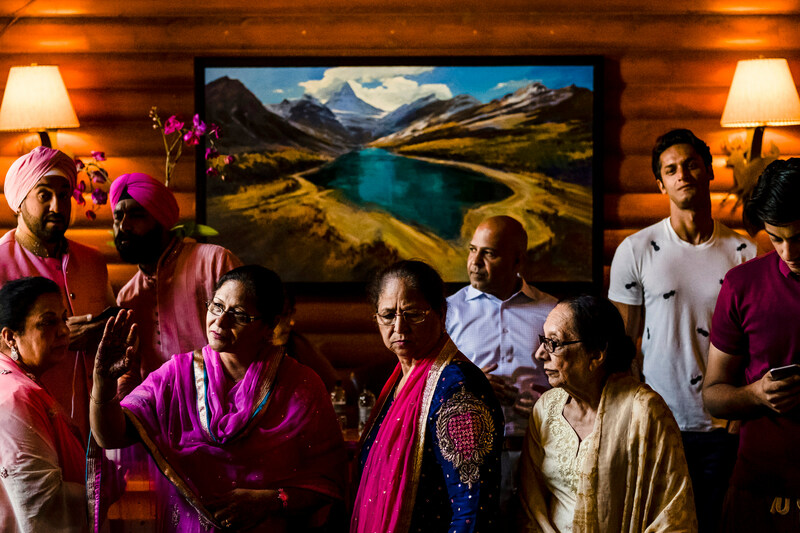 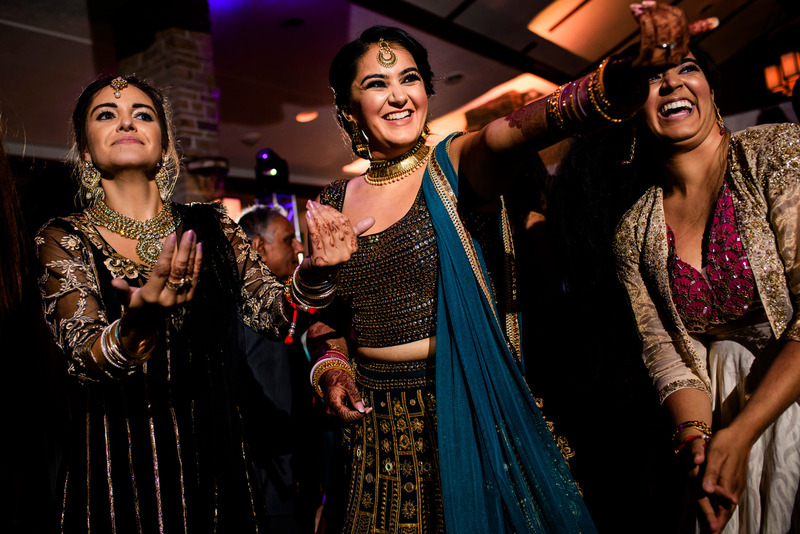 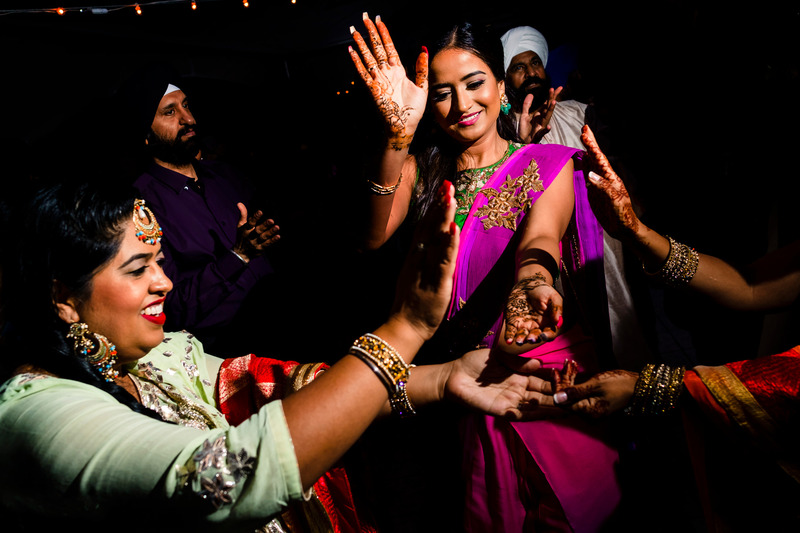 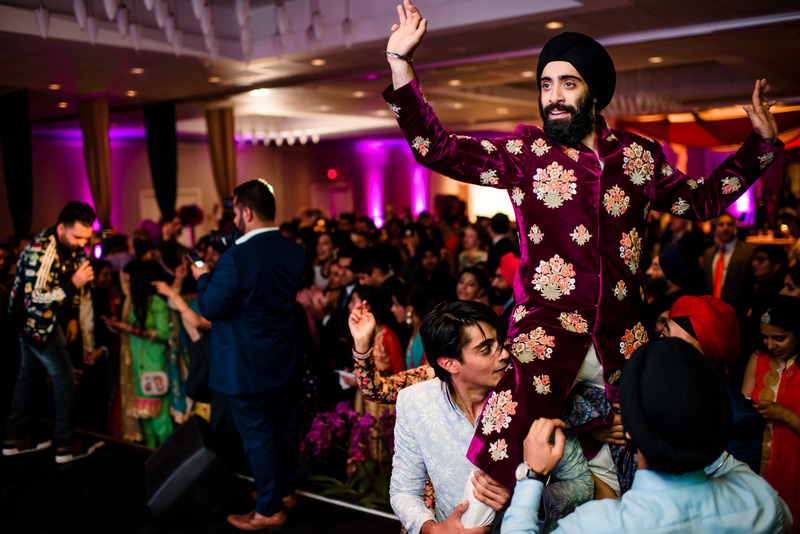 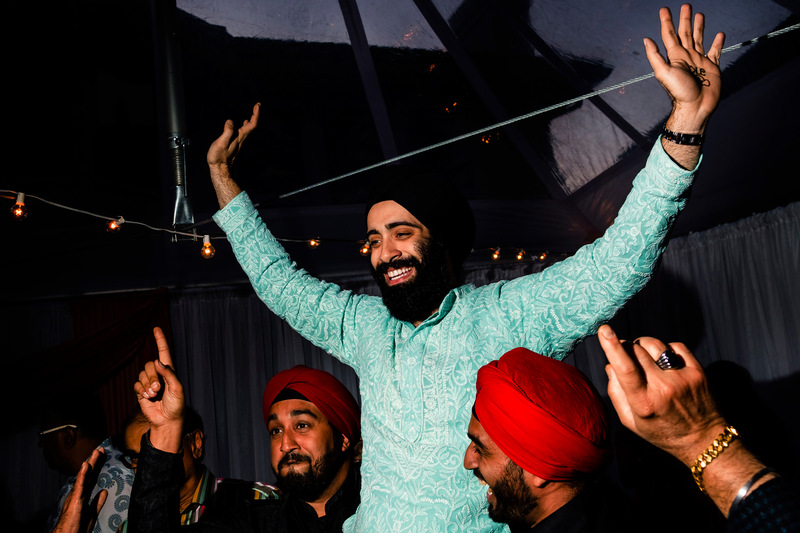 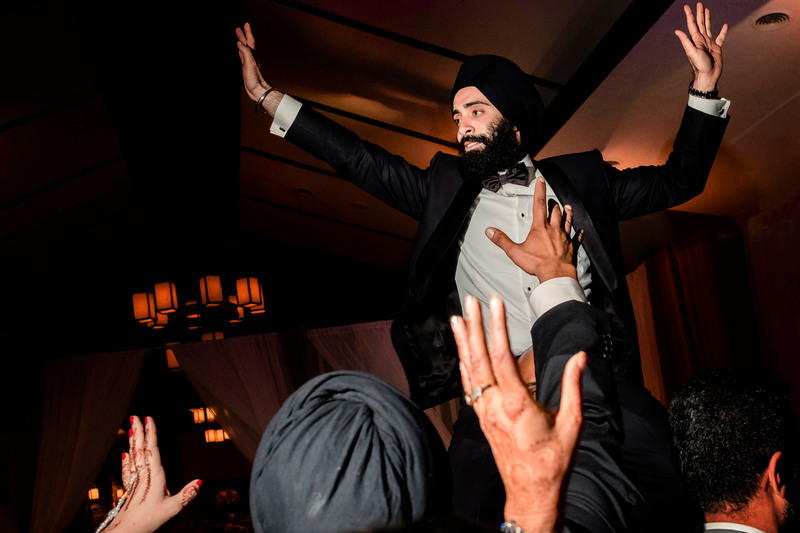 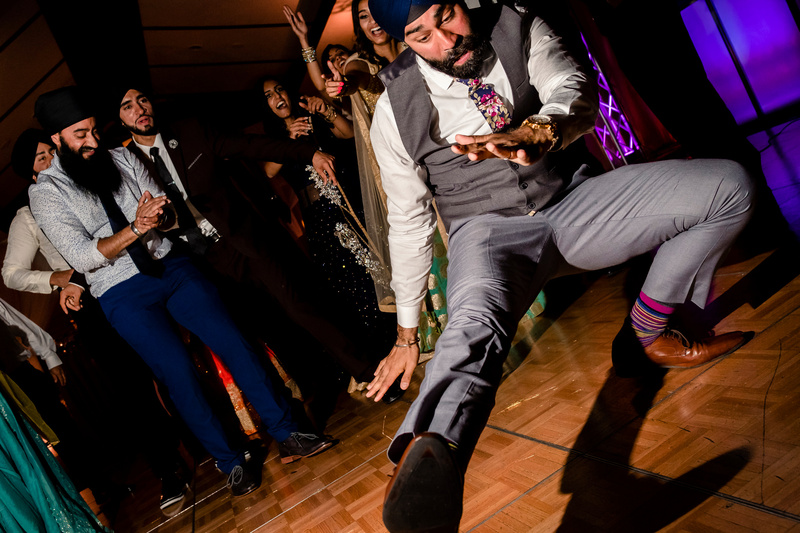 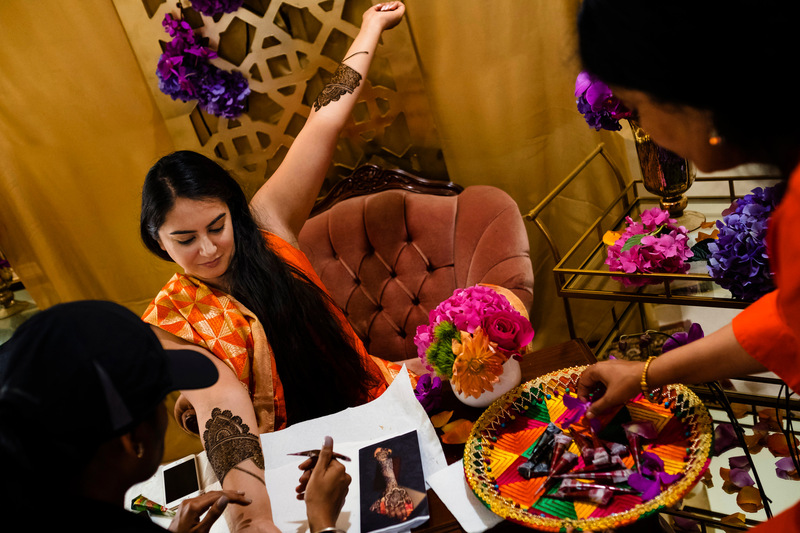 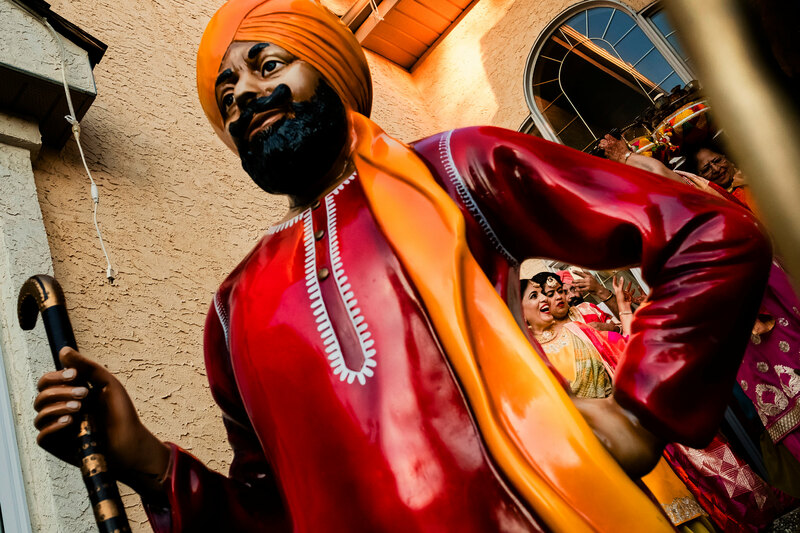 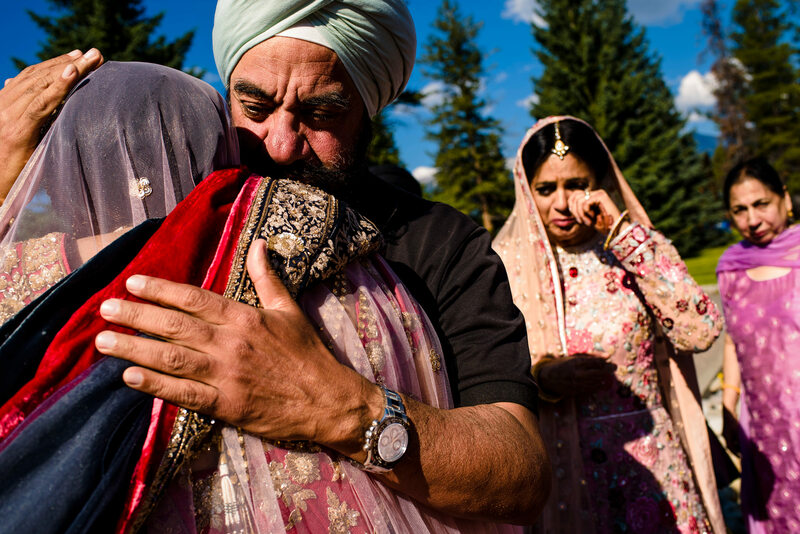 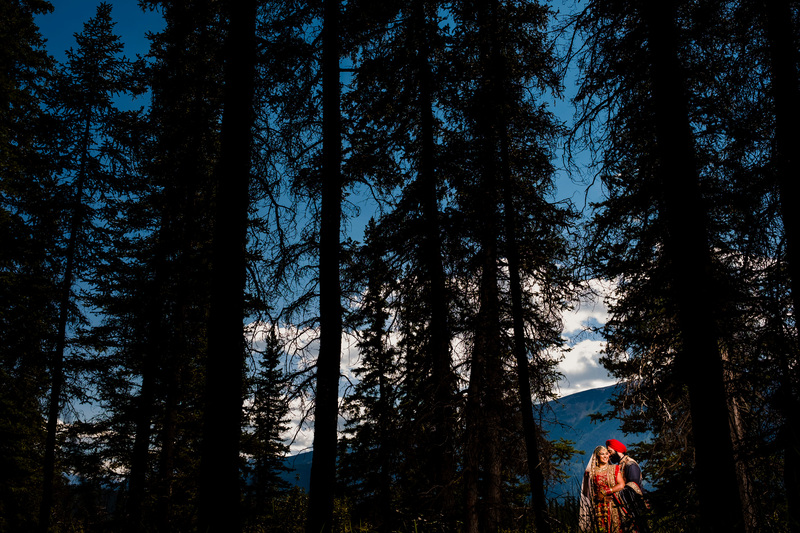 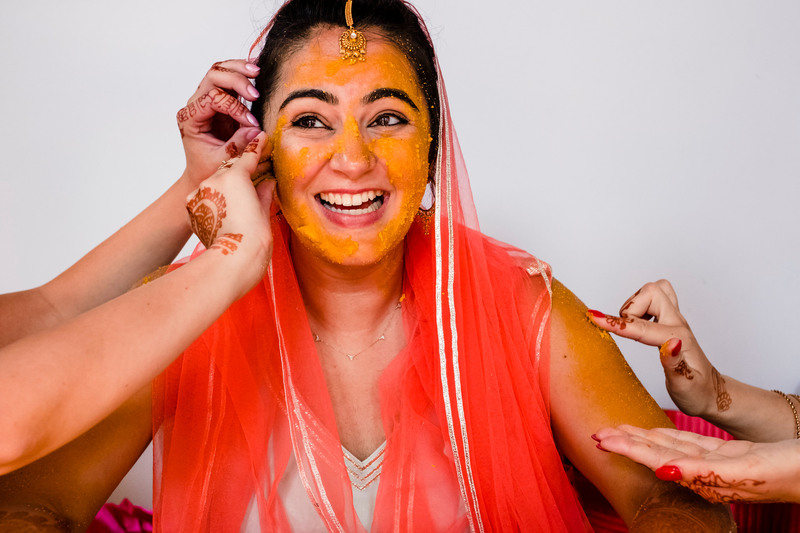 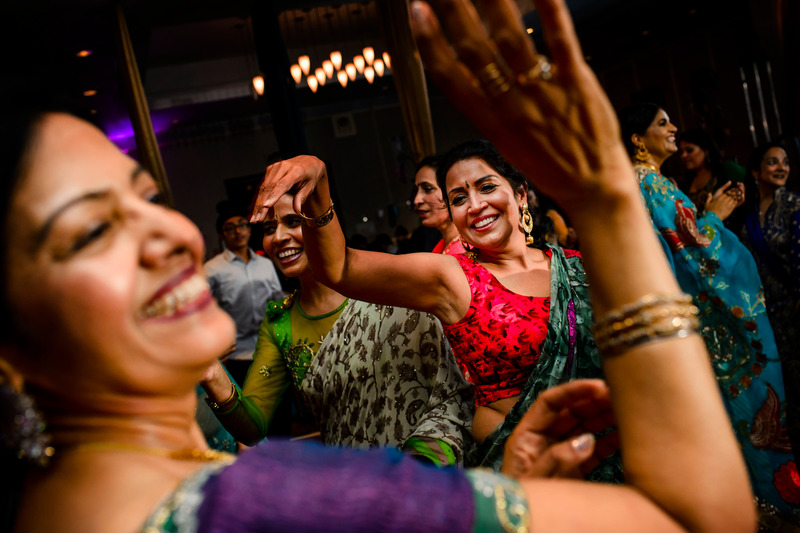 Jyoti and Kiran now live in the San Francisco Bay Area together, but they traveled back to her hometown areas of Edmonton and Jasper in Alberta for their six-day wedding celebration. 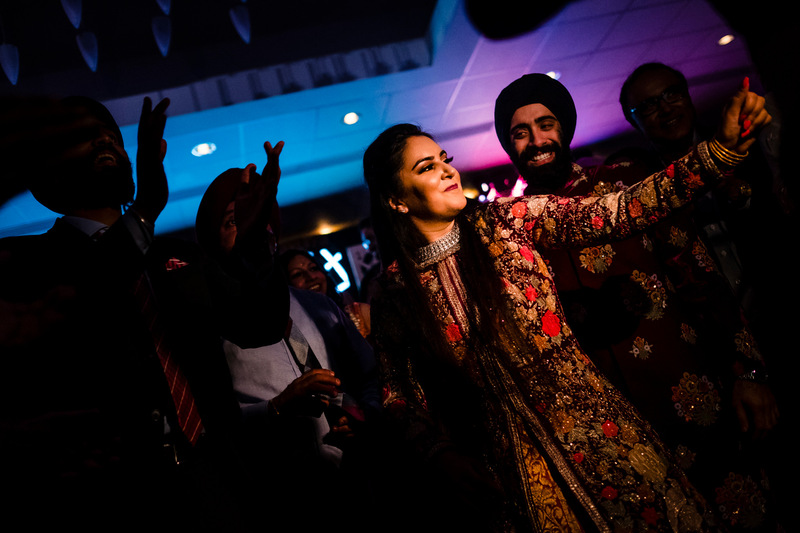 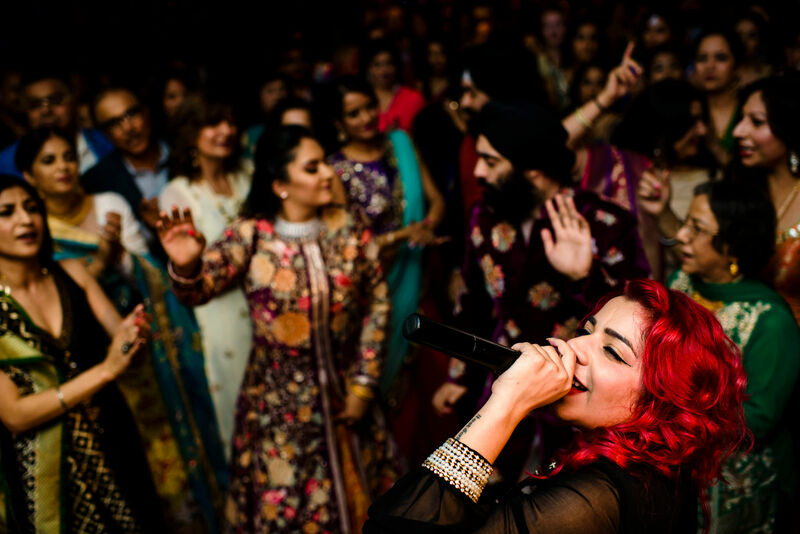 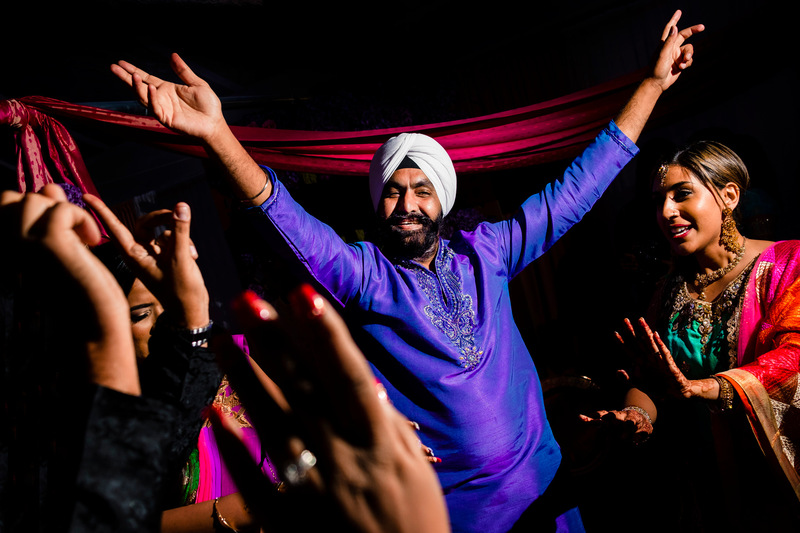 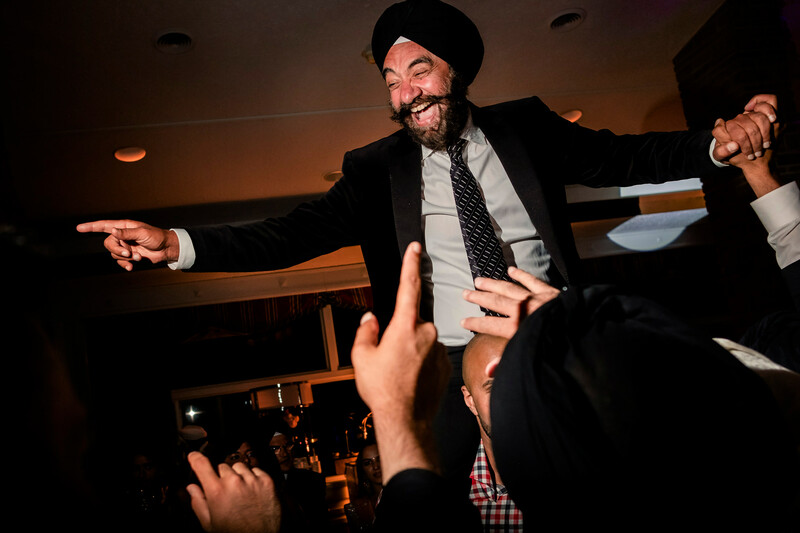 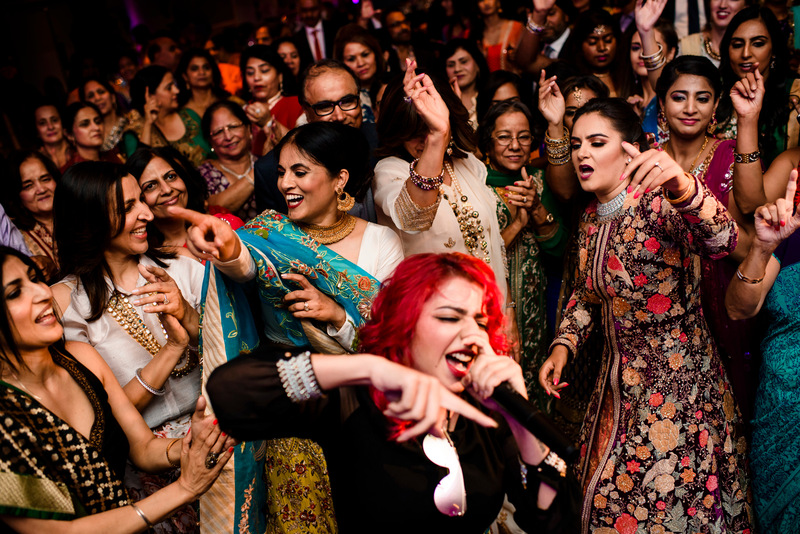 The week started off with a Sangeet at the Westin in Edmonton. 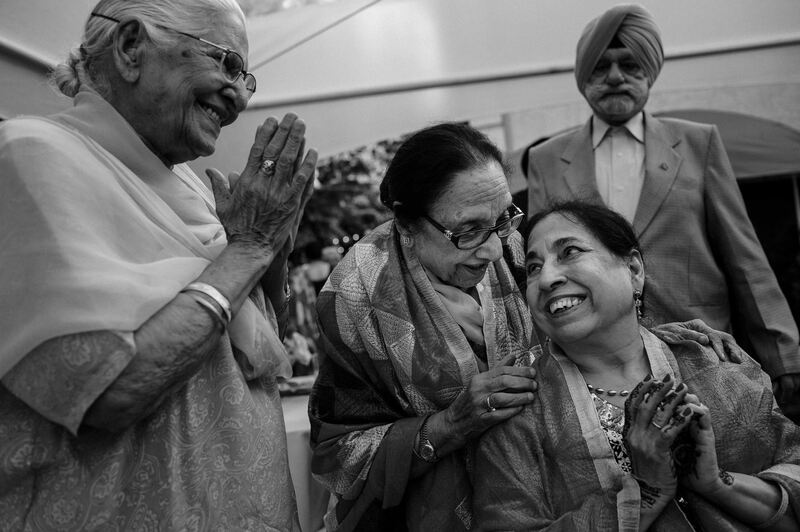 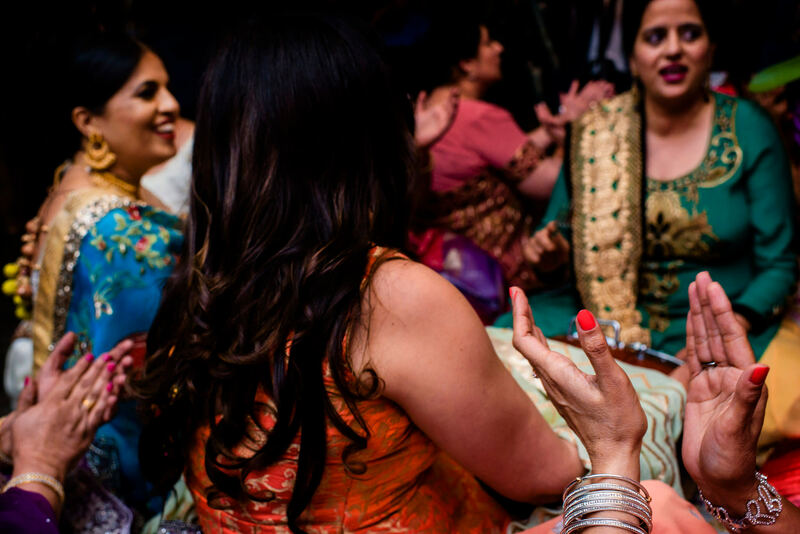 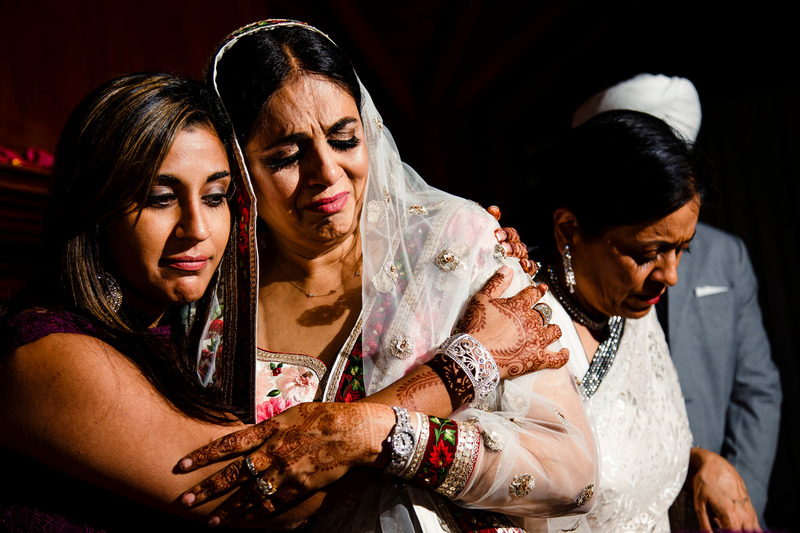 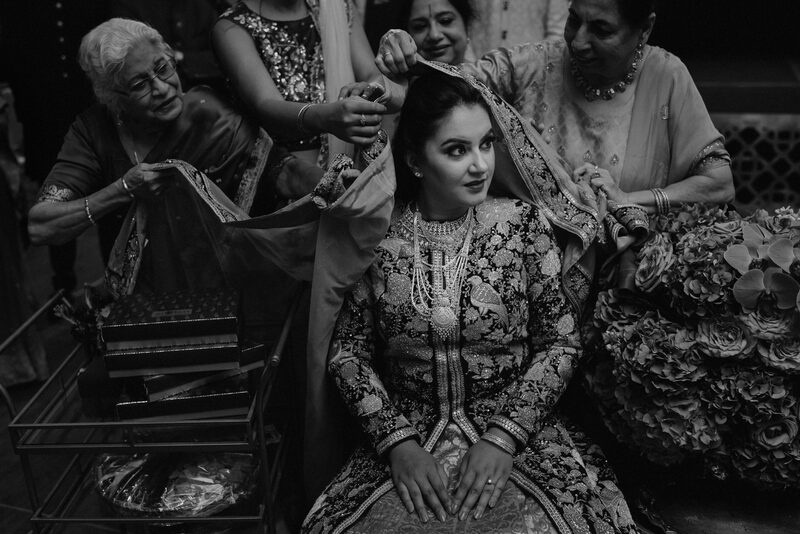 A few days later, there was the Mehndi and a family dinner. 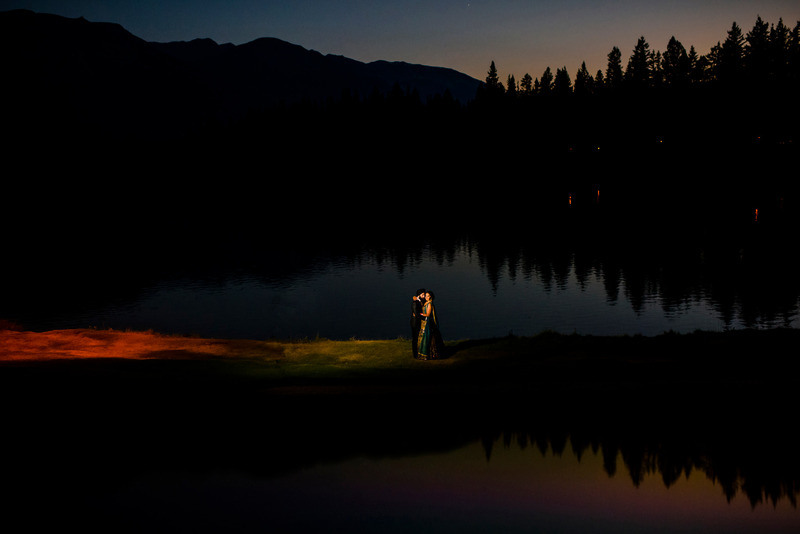 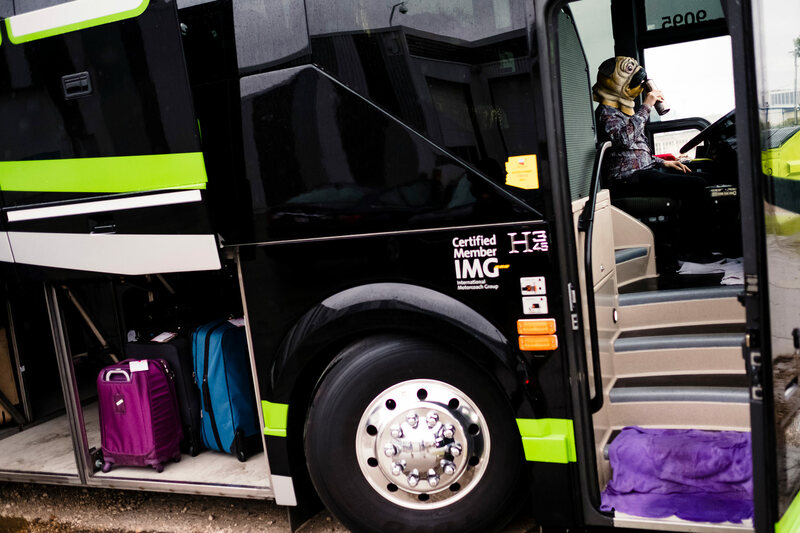 Then the whole crew moved operations, via a three-hour party bus ride, to Jasper for the wedding, reception and Sunday brunch at the Fairmont Jasper Park Lodge. 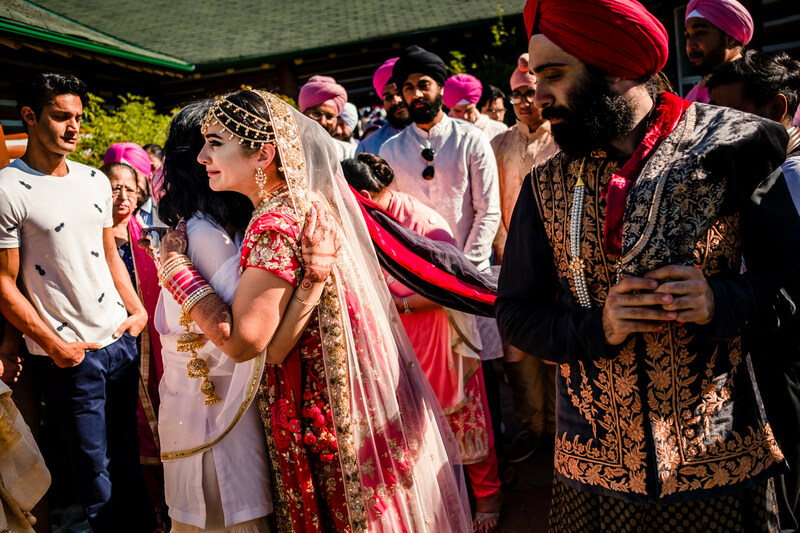 It was a week of nonstop preparation, emotion, celebration and the reuniting of friends and family who were so happy to see these two make it official, however unlikely it may have seemed in the beginning. 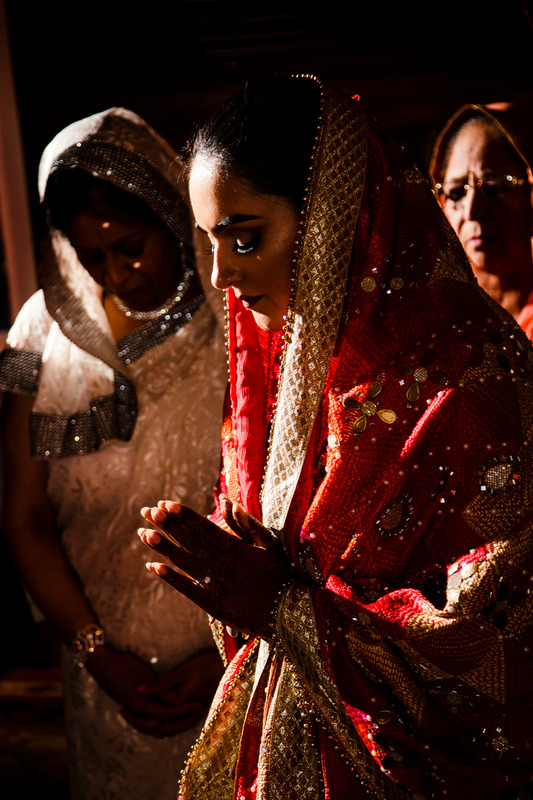 When you have a hunch, like Jyoti did, honor it. 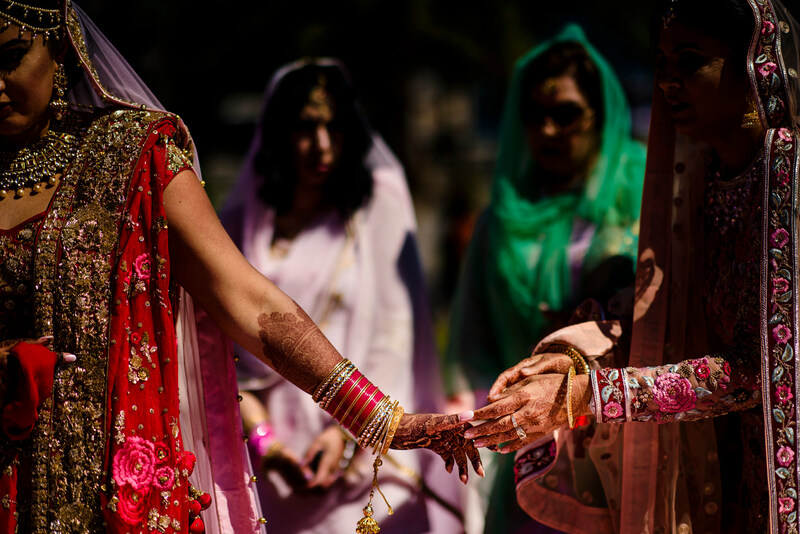 Follow it. 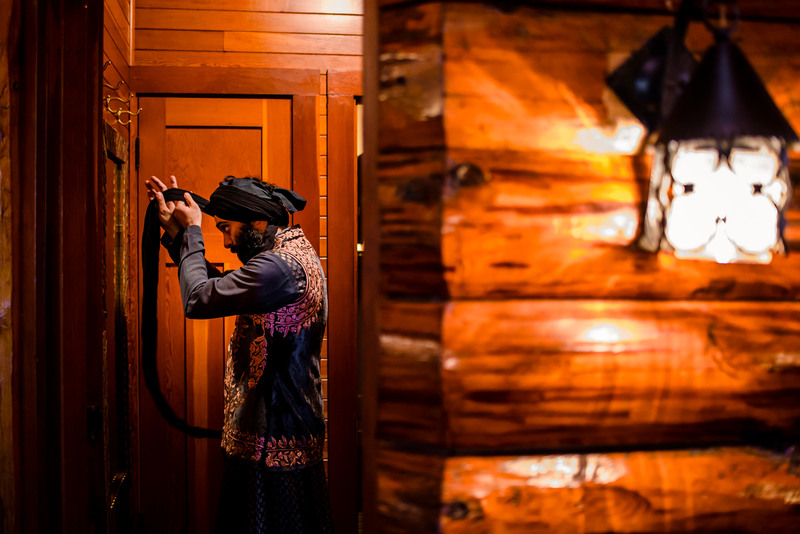 See where it leads. 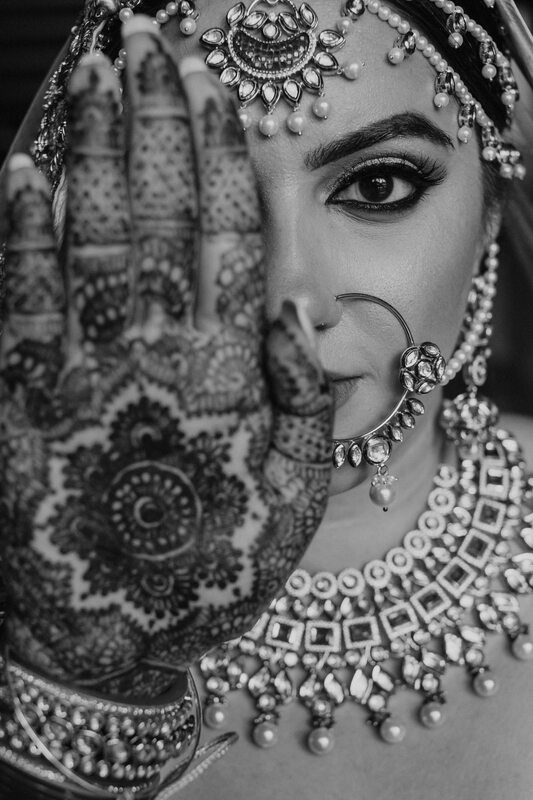 It could totally change the course of your life.